ASO keyword optimization is the best way to make your app visible for users and get more app downloads. 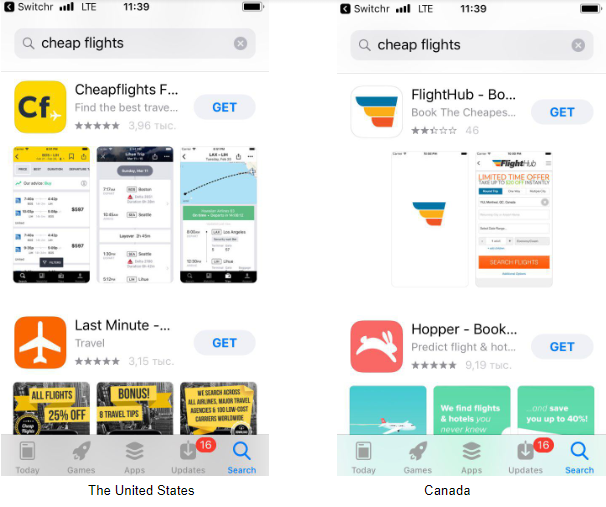 How it works: a user types “cheap flights” to find an app to buy airline tickets and go to vacation. As a result, any app store (Apple App Store, Google Play, Amazon App Store, etc) will provide a list of apps, that are using these keywords or relevant to this search query. 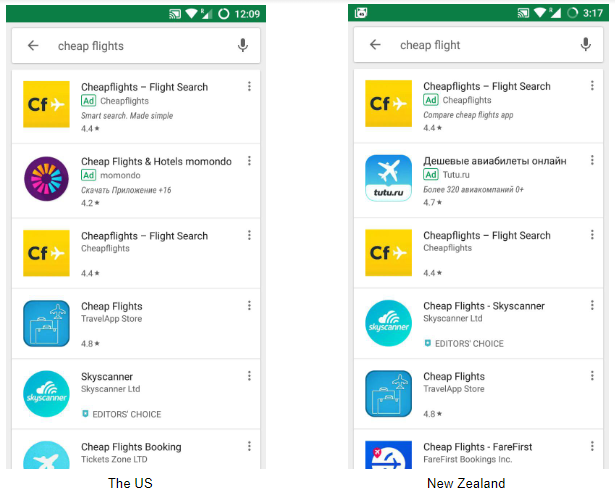 The higher the app ranks for this search query, the higher will be its position in the search results and it will have better chances to be downloaded. It makes keywords the most important part of your ASO strategy if you wish to increase your app downloads. This means that if your app is available in different app stores and countries, you must create separate keyword sets for every country and every app store, based on the semantic core.